How do You Maintain Vinyl Siding? If you’re a homeowner who would rather be hands-off with their exterior, vinyl is the right choice for you. The truth is that vinyl siding requires very little maintenance at all. Since it isn’t prone to warping, peeling, or cracking, you don’t have to worry about the hassles that come along with wood siding such as sanding and painting. Before you get to cleaning your vinyl siding, you’ll need solution to wipe away dirt and grime. Be sure that you rinse your vinyl siding thoroughly after washing, regardless of which option you choose. Option 1: Fill a bucket with 70% water and 30% white vinegar. 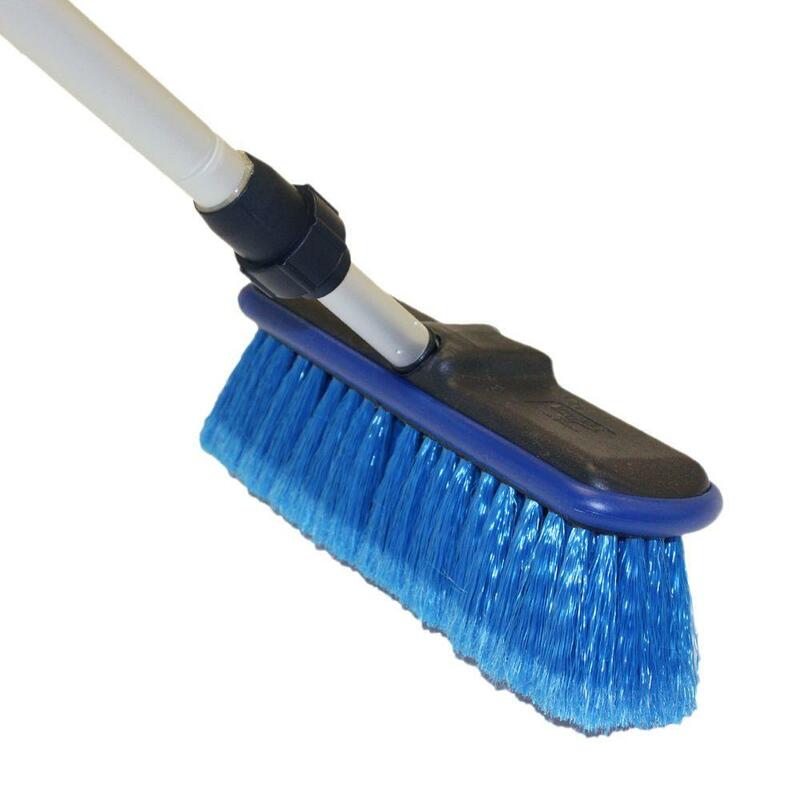 This is an all-purpose cleaner that removes mold and mildew. Option 2: For a stronger option, mix one-third cup of powdered laundry detergent, two-thirds cup of powdered household cleaner, one quart liquid laundry bleach and a gallon of water. Option 3: General household cleaners such as Windex and Lysol can be used on tough dirt and stains. Option 4: Pressure washer (check with your siding manufacturer first). Do not use undiluted chlorine bleach, liquid grease remover, nail polish remover, or furniture cleaner. According to the Vinyl Siding Institute, the best tools to use includes a soft cloth or an ordinary long-handled, soft bristle brush. The brush is the best option for siding that has a lot of grooves and textures. The best way to clean vinyl siding is to begin at the bottom of your house and work your way up. If you have brick or stone at the base of your house, be sure to cover it so it is protected from your cleaning solution. Take your bristle brush or cloth and begin wiping away the atmospheric dirt from the vinyl. As you progress with your cleaning, take your garden hose and rinse away dirt as you go. 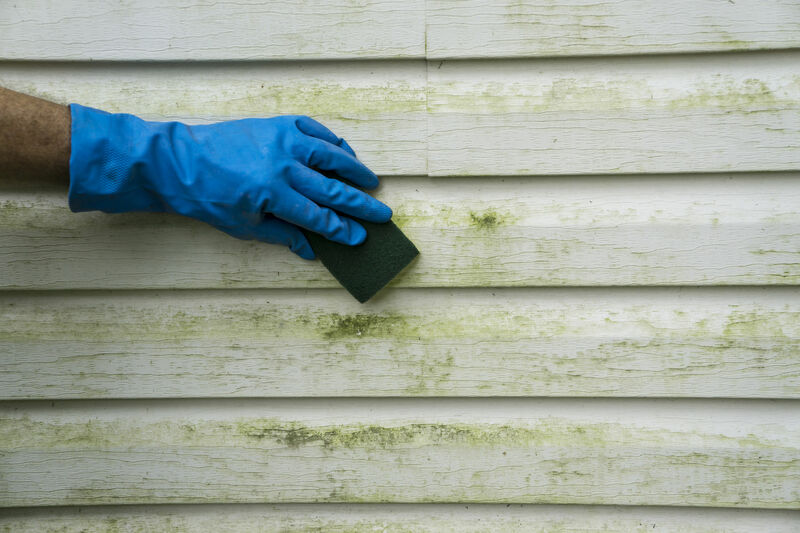 This is a bit of a time-consuming process, but it’s the best way to clean your siding without damaging it. If you’re using a solution with bleach, be sure to wear rubber gloves, long pants, and goggles. You’ll also want to protect any plants around the base of your home. Do not mix bleach with a vinegar solution, as it can release a poisonous chlorine gas. Need more guidance on how to clean your vinyl siding like a pro? Reach out to Universal Windows Direct for more expert advice.